In an interview on Wednesday, Oculus co-founder and head of Rift operations Nate Mitchell said that while support for macOS is not currently on the company's roadmap, it might revisit the topic of Apple integration in the future. Mitchell told TechCrunch that Oculus would like to offer support for macOS devices as it does for Windows PCs, but the Facebook-owned company is "just not there quite yet." "We do want to do OS X (macOS) support for Rift, it's not something that's currently on the roadmap for — I can even say — the next six months," Mitchell said. "We will continue to revisit it, the real challenge for us is just how much we invest into that space because it does require a lot of our time and energy to get it right and to deliver a great experience." For now, the company is focused on delivering VR to the masses as part of Facebook's ten-year plan to mainstream the technology. 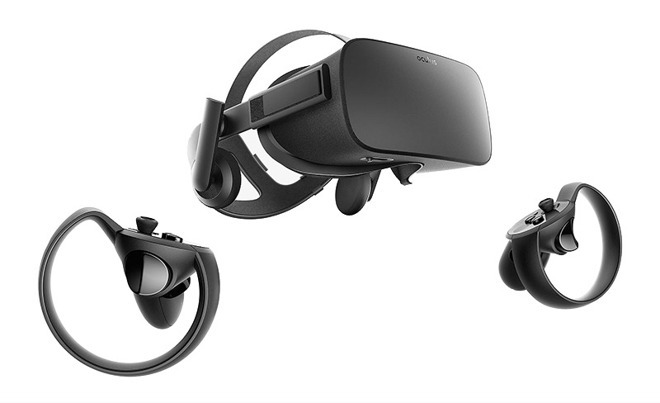 In an effort to further adoption, fo example, Oculus today slashed the price of its Rift and Oculus touch controller bundle to $598. Oculus initially experimented with OS X — and Linux — support for the Rift headset during early development, but ultimately "paused" the project in 2015. The company offered no information as to when, or indeed if, the Mac initiative would continue. Co-founder Palmer Luckey later said a Mac version of the VR hardware would only arrive when Apple released hardware capable of driving Rift's power-hungry components. Luckey specifically referenced Apple's preference to exclude top-tier GPUs from Mac build options. At the time, Rift required a PC with a Core i5-4590 processor or better and an Nvidia GTX 970 or AMD R9 290 video card. Software optimizations relaxed those requirements, meaning Rift is now compatible with machines running at least an Intel i3-6100 or AMD FX4350 processor and an Nvidia GTX 960 or AMD Radeon R9 290 GPU. Apple's latest hardware, including high-end MacBook Pro with Touch Bar models, boast comparable specs. Still, Oculus has yet to dedicate the resources to developing a Mac software suite or compatible APIs.